In a time of resurgent nationalism, what does it mean to belong to a place, be claimed by a place? For one thing the currency must be smaller than that of a nation state. It must be, say, a particular clump of trees, nestling as a copse against a ruined castle, dripping with local stories of ghosts or a narrow, winding, stream-filled vale from which an especial eerie raven watches your descent from a granite rock. It must be a place, actually loved, coming to be known, as far as any place can be, as a person listens, attentively, to its stories and allows those stories to begin to rise up and begin their telling in them, through them. For it is only in these ways that you can come to realize that a place is not yours for the taking, assimilating it wholly to your needs, even for healing, but a place that breaks you open, shatters the narrow confines of your present self, and makes you something different, wider, deeper, more alive. More alive precisely because one of the things you come to realize is that any story in a place belongs to all its inhabitants from stone to plant to animal. You learn that everything is animate to a story. Everything is telling. Such is the theme of Martin Shaw's 'Scatterlings: Being Claimed in a Time of Amnesia' that completes his trilogy of wondering, wonderful books on the art and necessities of storytelling - the craft that he professes, protests. 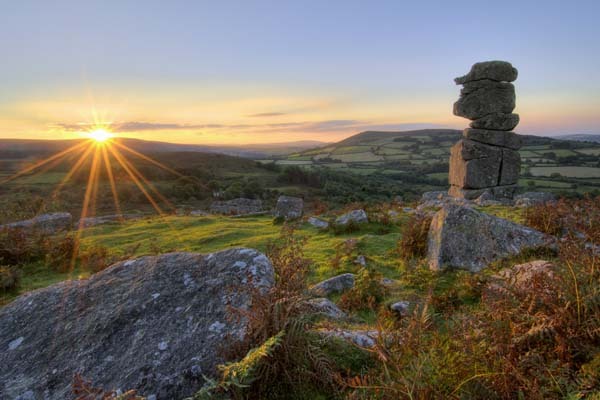 In it he turns away from the wider inheritance of story to the particularities of his place - in his case of Dartmoor and its edges in Devon in the south west of England. It is a turning of some urgency (and some difficulty). Urgent because though we can collect 'story' from anywhere - the bulging anthologies of myth and folktale - there is a temptation to the exotic - Siberia or the Amazon anyone -and we do this at a potential cost. We forget our places, we lose the threads that weave in and out of our localities - and in doing so the story is diminished because they live in the telling, emerging out of place, more readily than they do from the pages of a book. A story should lay claim to us, as an embodied soul, a weave on the weft of the world, my world, here and now, amongst the known, familiar and break us open and vulnerable to its mystery, its living, its storytelling. The difficulty (as David Abram notes in his preface) is that any embodying of this storytelling tradition in a book (even as one so accomplished and inviting) risks embalming what ought to be oral and ingested, dancing out of the rocks, shrubs, landscape itself. It is in danger of becoming yet another literary consumable, resting on the page, torn from place. If Shaw's book 'works' (and he is a mesmerising storyteller both on and off the page as, having heard him, round a fire, I can attest), one should immediately put the book aside and pull on your boots and wander off down the lane, senses open, intuition alive, to welcome what story comes with the appropriate balance of welcoming and fear.